Select an Option 2" X 10 Yds. 1" X 10 Yds. 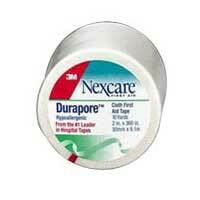 Durapore Silk-like Cloth First Aid Surgical Tape 1" x 10 yds.